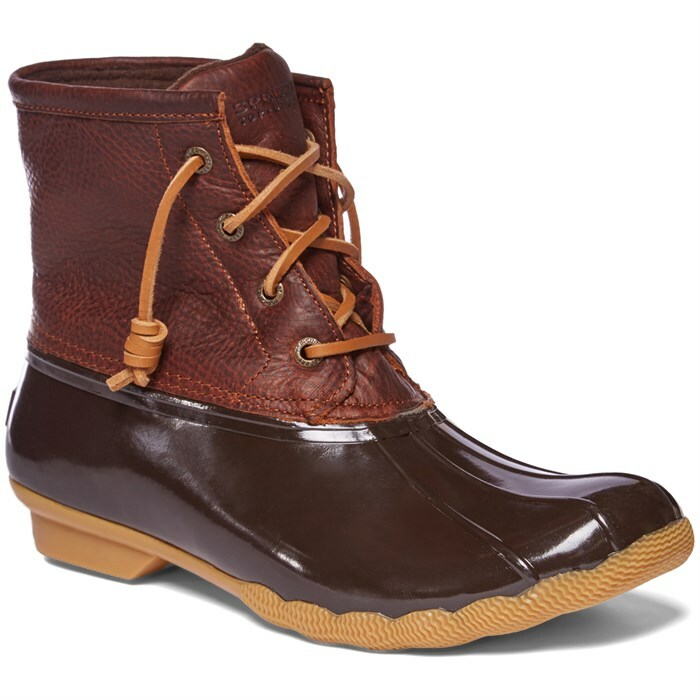 Sperry's put their signature Wave-Sipling rubber to work in the Sperry Top-Sider Saltwater Core Rain Boots, providing optimal traction on slippery surfaces whether you're on the boat or hitting the streets. Keep your toes comfy and dry with the addition of a durable genuine leather upper and ultra-soft microfleece lining so you can stomp puddles in style. Heel Height: Low 1/2" - 1 3/4"